Every man in an Iranian village has reportedly been executed by the government on drug charges. Shahindokht Molaverdi, the vice president for women and family affairs, was arguing for increased provision for convicts’ families when she made the admission. “We have a village in Sistan and Baluchestan (province) where every single man has been executed,” she told the Mehr news agency. It was unclear when the men in the unnamed village died or whether the executions were carried out at once or over an extended period of time. Ms Molaverdi argued that society was responsible for the families of executed convicts and said a dropped welfare programme had been reinstated. Her comments were translated by the Iran Human Rights group, which said several hundred people are hanged on drug charges ever year in Iran, mostly from marginalised groups and ethnic minorities. “Iranian authorities have repeatedly admitted that the death penalty has not solved the problem of drug trafficking, but they still continue to execute people for drug charges,” Mahmood Amiry-Moghaddam, a spokesperson of Iran Human Rights said. The group is calling for the United Nations Office on Drugs and Crime (UNODC) and other parties to stop providing equipment, funding, and technology to Iranian investigators until capital punishment is lifted. 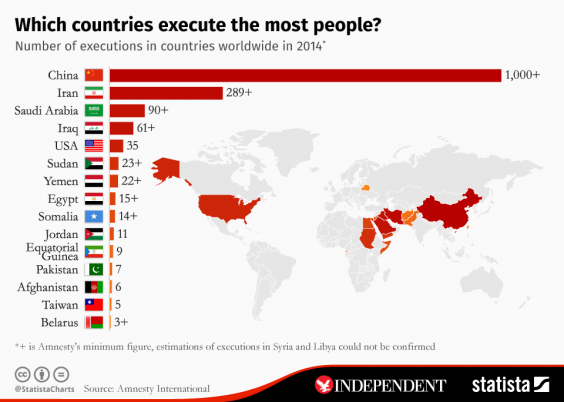 In 2011, Iran’s Supreme Council for Human Rights said 74 per cent of executions in the country were convicted drug traffickers, mainly handling opium being transported from Afghanistan and Europe. 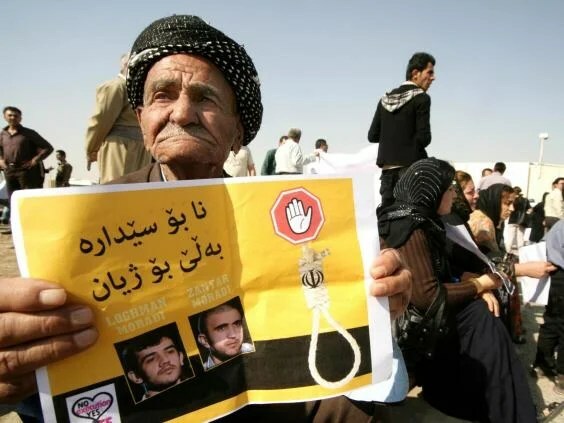 Reprieve, a British human rights organisatoin, said that approximately 600 out of 947 hangings in Iran in 2015 were related to alleged drug offences – as were at least 31 carried out so far this year – amid concerns over unfair trials, forced confessions, and juvenile arrests. Research it carried out two years ago claimed to find a link between previous rounds of European UNODC funding and more than 3,000 death sentences in Iran and Pakistan, and finding is expected to continue flowing to Iran’s Anti-Narcotics Police this year. Maya Foa, head of the death penalty team at Reprieve, said: “The apparent hanging of every man in one Iranian village demonstrates the astonishing scale of Iran’s execution spree. “These executions – often based on juvenile arrests, torture, and unfair or non-existent trials – show total contempt for the rule of law, and it is shameful that the UN and its funders are supporting the police forces responsible. Sistan and Baluchistan province, which borders Afghanistan and Pakistan in the country’s south-east has seen conflict between armed drug cartels and smugglers since 200, resulting in thousands of deaths. Baloch Sunni militant organisations, designated terrorists by the government in Tehran, are also fighting an insurgency in the impoverished region. A spokesperson for the UNODC declined to comment on the specific case when contacted by The Independent’s but affirmed its opposition to the death penalty in all circumstances. Previous Previous post: The Pathology of New Age Cults. Next Next post: N. Korea Sentences American Student To 15 Years Of Prison, Hard Labor.